Lake Sammamish Kokanee - Save Our Fish! 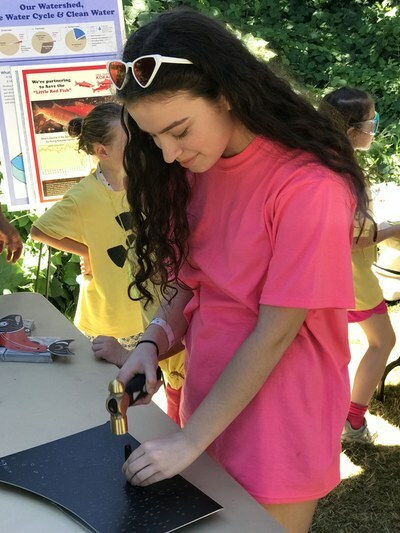 In 2018 our campers were taught about the struggle of our Lake Sammamish Kokanee. 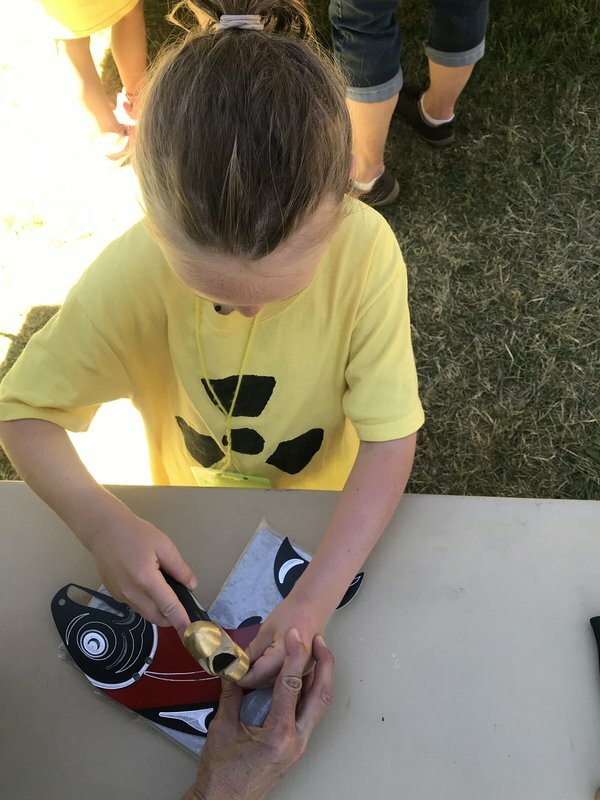 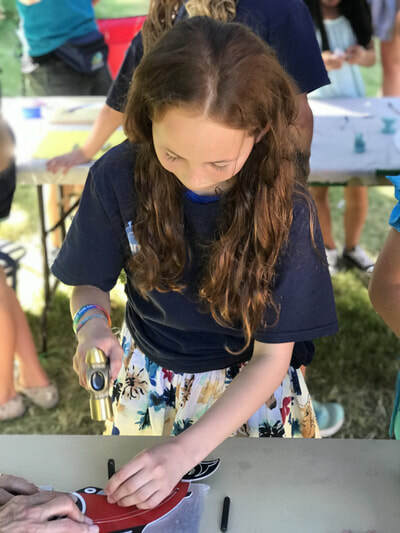 ​During camp, attendees learned about the water cycle, the importance of protecting the local watershed, how wetlands naturally clean water and what everyday things people can do to impact our Kokanee's survival. Historically the Snoqualmie Indians relied on these coveted “little red fish” as a year round food source. Kokanee spend 3-4 years in the lake before returning to their home stream to spawn in the late fall to early winter (near Nov-Jan). 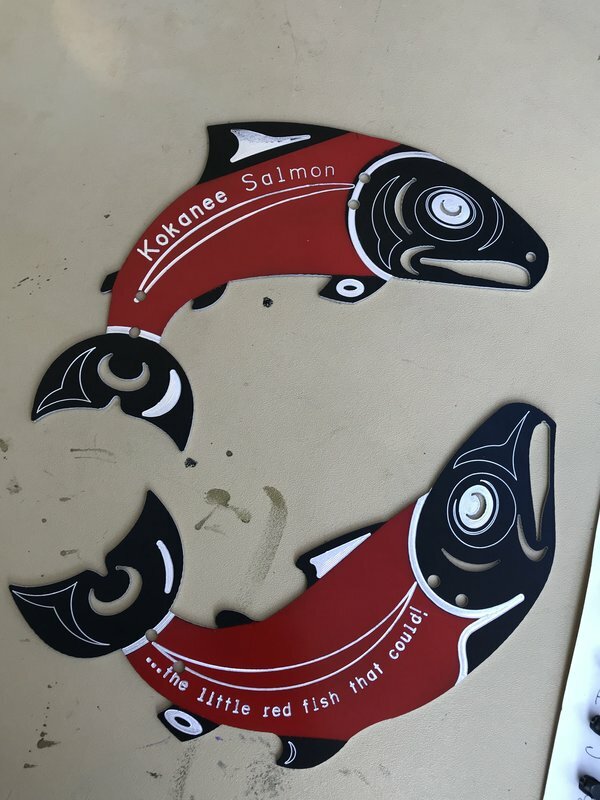 5 years ago, more than 18,000 of this unique freshwater species of sockeye returned to spawn in Lake Sammamish tributaries. 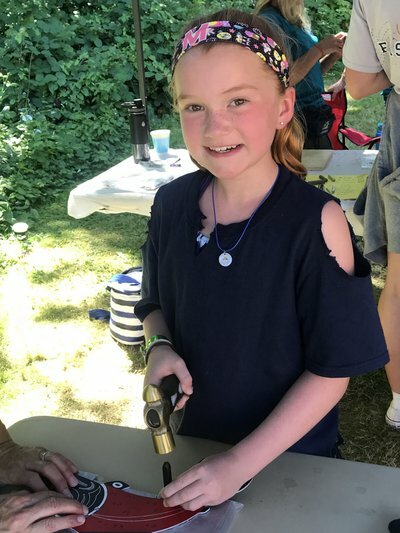 ​This past year, only 19 were counted. 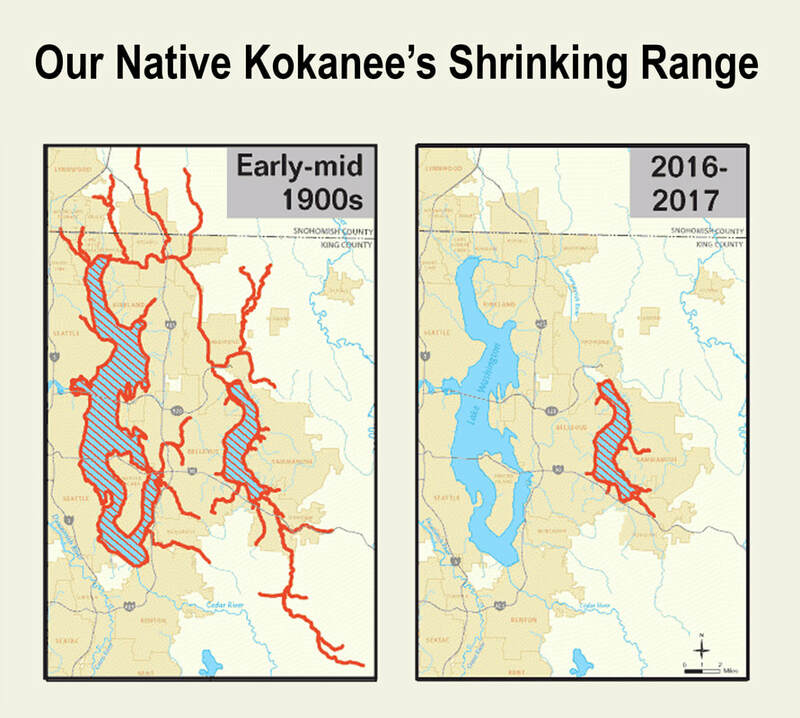 Habitat loss and man-made changes to the watershed environment have nearly driven our local Kokanee to extinction. 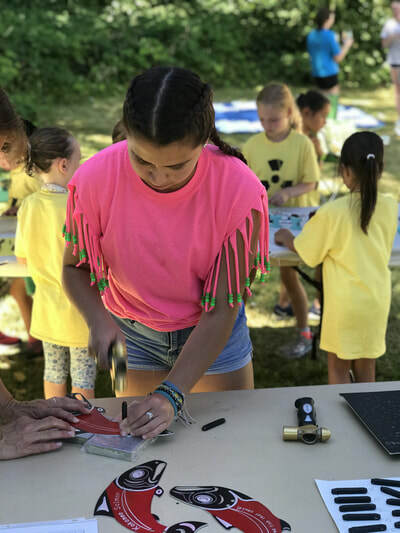 After learning about the issues affecting the fish, our campers depicted, in poster form, what they learned and what people can do to help our fish. 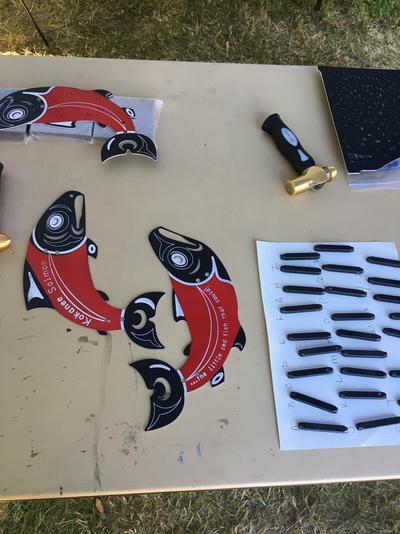 To highlight the urgency and significance of taking action to protect our waterways now, we stamped 19 metal fish. 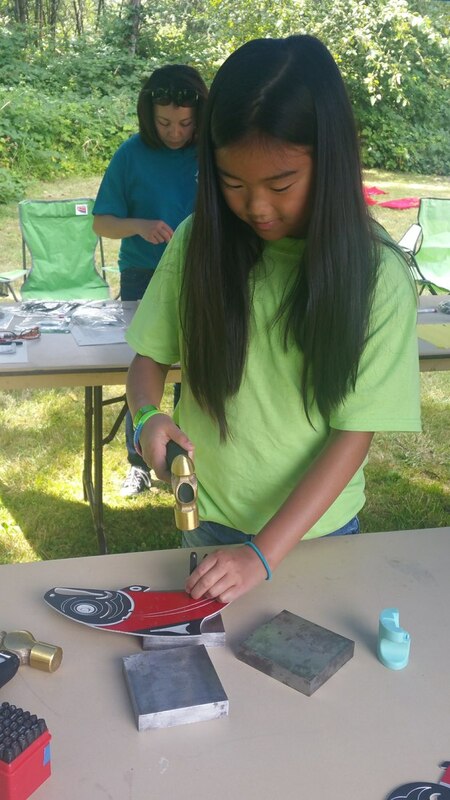 Our fish art display will be displayed near one of the Kokanee's historic tributaries and our camp's host site - Vasa Park. 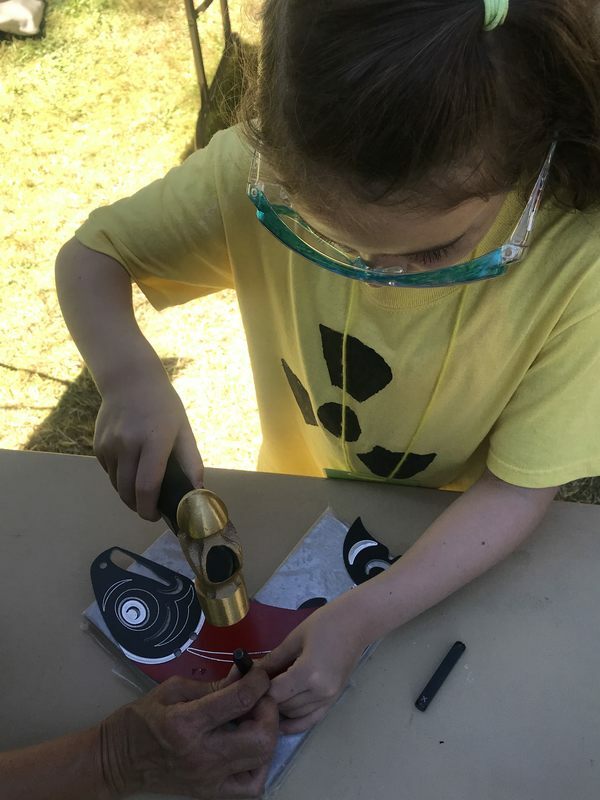 Stay tuned and check here for updates about the project installation! educational content and donated materials for our project!